Synopsis: Those who have grown up with Pan as a playmate remember how, back in the day, it would be possible for a young child to disappear into the woods with only a dog for company for hours on end without there being a hue and cry raised in its absence; and it was on those woodland rides and pathways - summer or winter - that Melusine Draco often encountered Pan." 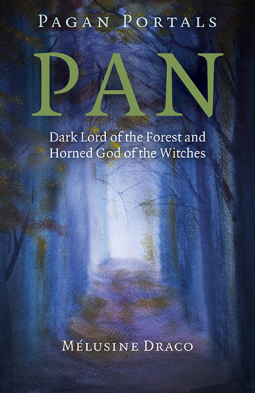 Review: Pan was one of the first non-Christian deities I was ever aware of.. A constant companion of my childhood, I loved learning about his history through the ages, The magical exercises are both relevant and insightful. I definitely plan on adding this book to my shelves! Synopsis: Bestselling author Elen Sentier looks at Merlin in history and mythology and considers his continuing relevance for people today. 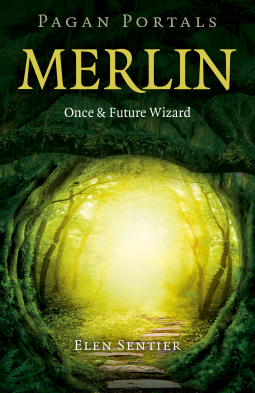 Best known as the wizard from the Arthurian stories, Merlin has been written about for well over 1000 years and is considered to be both a magical and historical figure. Over the centuries many people have had relationships with Merlin and in this book the author brings him to life for us once again in yet another way and from yet another perspective. About the Author: All my life I’ve followed the deer trods of Elen of the Ways. My mother's mother was a witch from the Isle of Man and my father was a cunning man from Lancashire. I grew up in an ancient village on the edge of Exmoor where the church is dedicated to the goddess Iwerydd and my aunt owned her sacred well. My parents and the elder folk in the village taught the ways of the awenydd, the old native shamanism of Britain. I live in the back of beyond with two cats and a host of wildlife where I write novels and I teach the ways of old ways of the awenydd that I grew up with. I read massively and am now converted to Kindle as well as having bookcases full of the lovely old paper stuff. Whenever I can I get out into the wild places. Review: I've walked with Merlin all my life, but until I read this book I had no name for the kindly old man who has guided me or an adequate way to describe the way I perceive things since I was a toddler. I stopped trying to tell people about it when I realized they didn't approve, but as I've grown I've secretly nurtured it, and I'm glad I have. I feel like my relationship with Merlin will become even stronger having read this book.